Does efficiency have to come at the expense of availability? 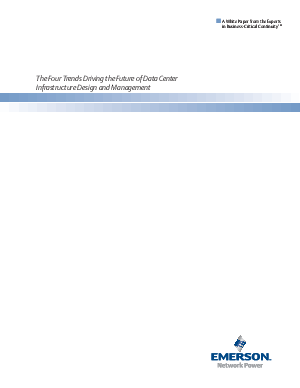 Not according to this paper, which outlines the four data center infrastructure trends that are reducing design, operating and management costs while improving data center performance. Those trends are Infrastructure Management, Eco Availability, Flex Capacity and High Density. Taking advantage of the opportunities listed in this paper will enable you to more efficiently deploy and use all of your resources throughout the life of the data center.